Ehvis I'm going to buy some bread at the supermarket. When I finished it, I can't use it anymore. It's not DRM free! What, the store enforcers run after you and grab your bought bread away on a whim? Or the bread has a self destruct trigger attached that can be activated by the store? What kind of bread do you buy?? Hint: be careful with analogies from physical merchandise to digital goods. They are not always matching one to one. But if you are using one, at least find something close enough. You completely missed the point. Yes, it doesn't work for physical merchandise. It could work for renting if the data that is sent to you is mangled in such a way that it is useless to you. Which is actually fair in renting since you don't pay to own it. However, if this last one doesn't apply here since nothing is mangled in any way because nothing that is transmitted needs to be protected. So all that's left is arguing that you don't like renting game time. Which is fair enough, but don't call it DRM. That only pollutes the arguments again actual problematic DRM. I'll end this with my opinion with technical reasons. I don't think this service will provide the best experience. Since lag is a problem with any on-line game, it will also be problem here. I have no interest in paying for a service that delivers a subpar experience. From what i gather you could run the service from your computer. Even without their controller. Their controller offers perks like uploading to youtube at the pressing of a button. This will be better clarified in the coming days i guess. Ehvis So all that's left is arguing that you don't like renting game time. Which is fair enough, but don't call it DRM. Call it what you want, I don't call it DRM-free since it very clearly doesn't fit the definition and has all the common flaws of any other DRMed store, and it's enough for me to avoid it. So please stop the pointless demagoguery which only derails this thread. Oh, that's my mistake. They were talking about the backend server's power, not whatever you use in your home. I didn't think that was what they were talking about, because of course the backend would be powerful. It needs to be very powerful to support everyone using it at the same time. That backend power seems mostly irrelevant to me. Maath Now, didn't they say the console itself is more powerful than an Xbox and a PS4 combined? Do they need all of that power just for streaming? Perhaps the console will be able to run programs locally. 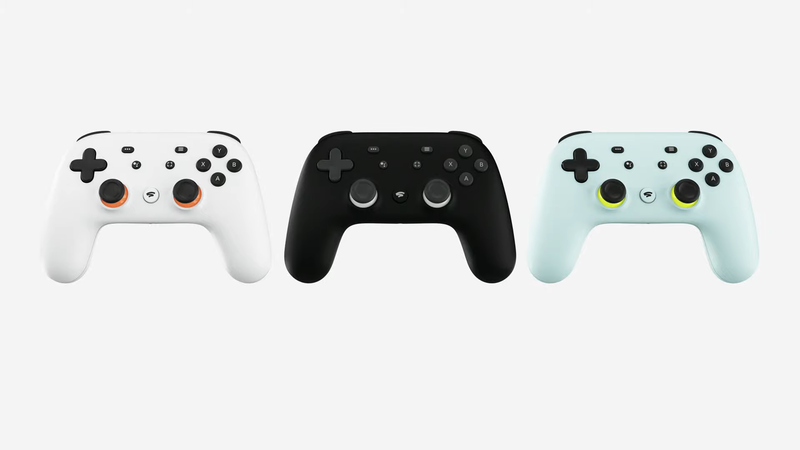 I was under the impression that it would not be a console, but just a controller which works with a computer/smart phone or ChromeCast and a cloud platform. Going back go ShabbyX's question about how this could actually be implemented DRM-free. To add to the above, about services that sell and allow streaming as an option. One issue with that could be that one time fee might not be sufficient to cover expenses on perpetual streaming availability for those who bought some game. I.e. running the infrastructure can end up being more expensive than profits from one time sale. To address that, paying a subscription fee for streaming is not a bad thing. I.e. those who want streaming can pay a monthly fee for it. It doesn't preclude being able to buy and download the actual game in the same store. This way it can remain DRM-free and offer sustainable way of providing infrastructure for streaming at any time for those who want it. 1. You pay for the game - you get it and can download the DRM-free package. 2. If you want to be able to stream any of your purchased games, you can pay some monthly fee for the service. 3. If you want to be able to stream any of the games in the catalog without buying (i.e. just renting), you can pay somewhat more than for option #2, while avoiding paying #1. So this will cover all use cases, and still be DRM-free. Shmerl ... and surely not going to use even more DRMed Stadia for same reason. 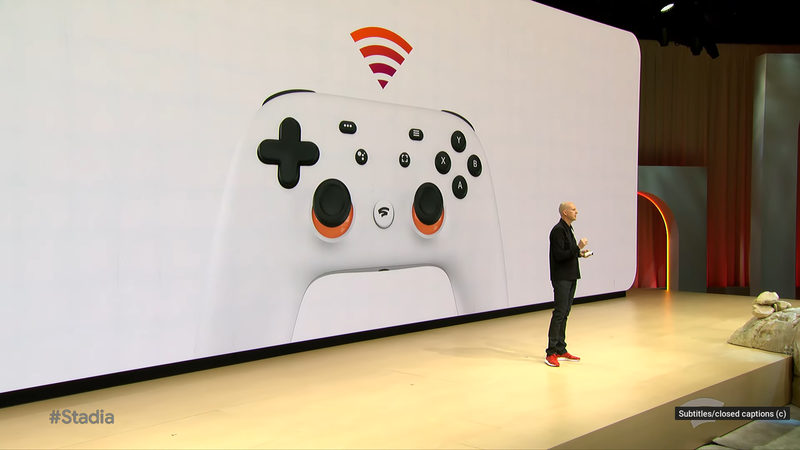 As I wrote above, Stadia is by its very design DRM free. Yes, of course it is! DRM is used to limit what you can do with goods you "have", but don't own. You never even get to "have" a game you are allowed (by the owner) to stream for a time. DRM is useless in such a situation, because you cannot capture the game by streaming it. You also cannot lose what you never had. I think it's even more honest than the restricted use of a DRMed software, that you only seem to own. If you don't like the idea playing games you don't have, then simply don't do it! I don't think DRM depends on whether it is bought or anything. It is "Digital Rights Management" (or "Digital Restrictions Management"), or a digital system ostensibly to prevent people from making unauthorized copies. You could rent a physical DVD with copy protection, and that is a form of DRM. You could stream videos with DRM, some software, that prevents you from making a copy of that video, or without any DRM and people can just download it and keep a copy. If game streaming prevents you from making copies of the game, it is DRM. You could use game streaming to restrict your users from having copies, both legal and illegal, of your game, so DRM. And that is bad because there are obvious use cases that are completely legitimate and require having a local copy - for example, "I don't have unlimited bandwidth all the time" or "preservation of games". You are allowed to play that game, but the system is (to borrow EFFs slogan) defective by design. Renting DRM-free digital media is a silly idea because of how digital files works (copying is so intrinsic that you can't transfer it without making a copy). There is nothing to be returned after the rental, nothing stopping the person from keeping a copy forever. It makes no sense... unless you start to use DRM. Which is terrible and shouldn't be done. So, don't "rent" digital goods. If you want a subscription-based service, rely on something else - on continued access to your hardware, on getting new content - but not on the person having to pay again and again for the same thing. eldaking Renting DRM-free digital media is a silly idea because of how digital files works (copying is so intrinsic that you can't transfer it without making a copy). There is nothing to be returned after the rental, nothing stopping the person from keeping a copy forever. It makes no sense... unless you start to use DRM. Which is terrible and shouldn't be done. So, don't "rent" digital goods. That's what my initial thought was as well, renting of digital goods is just pointless. But the reason for it can be economical. I.e. renting something is expected to be cheaper than buying. So in theory, renting digital goods can be an OK approach, when it charges less. However as you said, it quickly turns sour if renting starts enforcing limited usage through DRM (which it practically always does, in cases like Netflix, Spotify, and Stadia here as well). I.e. as long as you don't have unrestricted access to downloaded digital files (after you already authenticated and paid something naturally) it's DRMed. 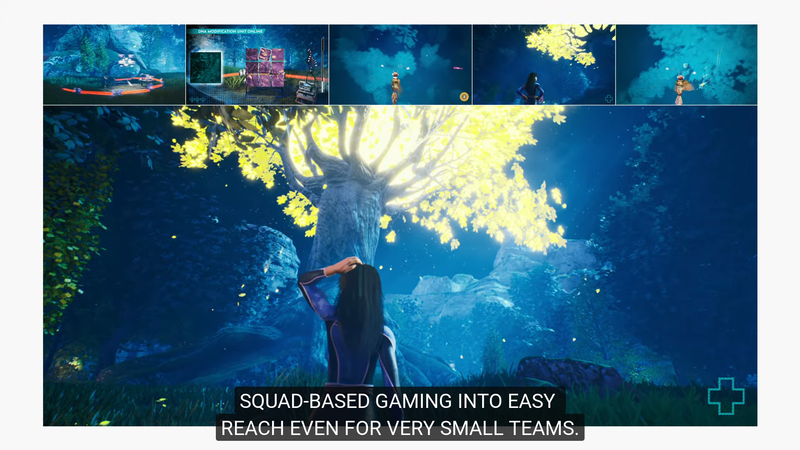 eldaking Ugh, gaming "as a service". 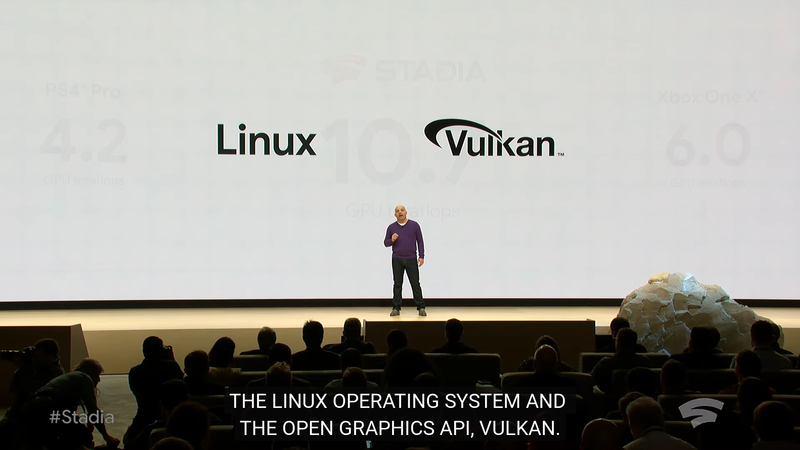 Frankly, this is worse than games not supporting Linux. Games might be developed for Linux (servers)... but then we can't buy the games to run in our Linux systems. This is the antithesis of FOSS - we don't even have the freedom to run the software ourselves. It's like the most intrusive always online DRM ever coupled with the least software freedom technology allows. On the other hand, it's a way to check games which could otherwise end up on the Steam pile of shame.